Have you ever had a call like this? Client: So I heard Google’s Matt Cutts said links are [dead/bad/over], so I stopped all my link building, fired my SEO agency, and wanted to ask you what we should do next. Me: (long pause) Umm, you did what? Were you penalized or positioning badly? Client: Oh no, ranking in the top 3 for most of our keywords, great traffic, but you know I have been reading a little and then I saw Matt said to stop all link building, so I thought I better do that. Amazingly, even in 2014, many people have heard bits of information about websites and basic SEO that are either no longer relevant, completely misplaced, or simply erroneous. These all need to die really horrible deaths. Myths can start so easily and quickly become pervasive. Listening to them can do some serious damage to your site or business. So let’s review five of the most common myths. This is a favorite mantra of the content marketing. Just build an amazing website with even more amazing content and watch the traffic roll on in. If it were that easy, all SEO professionals would be writers or out of work. Unfortunately, while great writing and great content is a large part of SEO and something your site definitely needs, it also needs links, a strong technical base, fast page downloads, and the list goes on and on. Create content, but other SEO tactics are needed unless you want to be sitting all alone in a big field. While Cutts would prefer you never build another link to your website, this isn’t “Field of Dreams”. You can build it, but it doesn’t mean traffic will come to your site. First, Cutts never said links were dead. In fact, it’s quite the opposite. Cutts said Google has tried excluding links from the algorithm and the results were “much worse.” So while I don’t think it will stay forever this way, we have years before it potentially could go away, according to Cutts. Links aren’t dead. You need links. What do you do? You don’t want to go to a link farm and buy links and get your site potentially penalized because that method is dead (unless you really, really know what you’re doing or using “churn and burn” domains). However, you can hire someone with experience to go create a strategic link acquisition plan and help you implement it. This means that you use strategic methods to acquire links in a way that would appear natural. For example, let’s say you sponsor a charity event every year, making sure to tie that in with local news, press coverage, and maybe the charity’s own news release. All tied back to you. This is a very obvious way you can acquire natural links to your site that are part of a link building campaign, but NOT a link buying campaign. A link builder will have many more inventive and fantastic ways to do this and the best part, it will all appear completely natural because basically they are, just with a little push. Most important to note, this is the most highly scrutinized area of SEO right now, so hire well. Links are alive. Just some of the methods died. Analytics is a must-have. Yet so often we hear that a client isn’t putting Google Analytics on their site because Google spies on them, so they fly blind. Is this true? Does Google use Google Analytics to spy in you? Well, yes and no. For instance, if you’re creating multiple domains that are being used for nefarious things (in Google’s eyes) and these sites all share the same Google Analytics code then yes, Google now knows you have these same domains (i.e., you have linked them together and told Google you own them). If this is your link network, well you have now outed yourself. Have a penalty? Decided to just start a new site, not fix the old one? Did you use the same Google Analytics code? Well, same thing. However, is Google using Google Analytics as part of site positioning? No. How do we know? Because Cutts said so (here, here, and again here. Now, we don’t believe everything Cutts tells us, but this is just common sense. These are separate arms of the same company and they simply don’t interact at that level. Also, many sites don’t use Google Analytics, so if Google used Analytics to determine the results, it would probably be worse than excluding links as a ranking factor. It doesn’t make practical sense. Bad data in = bad product out which = bad business. So if you are a regular company with a regular site, go ahead and add Google Analytics. The only one spying on you is the NSA. You’ve probably heard this before: “We don’t care about ranking. Traffic is what we measure.” While there is truth in this, it’s also a bit deceptive. Sure, there is no true top 10 anymore. With geolocation, personalization, and other factors, you can no longer pull up a definite top 10 and know you are seeing what anyone else is seeing. In fact, my agency no longer calls it ranking, we call it positioning because ranking has definite numeric order and stop and end points where positioning is a more loosely defined placement within the SERPs. That being said, and as much as relevant, converting traffic is the most important metric when measuring the ROI of you investment dollars, the difference between 1st and 5th and 5th and 10th greatly affects the flow and amount of that traffic, so even if we can’t be sure how everyone is seeing the site in the SERPs, we can have a good idea of the opportunities for traffic increases and where drops and where these are happening if we follow the keyword positions. Position does matter. Rankings maybe not. No. Can you get links from social, yes, once they leave the walled garden, but not from sharing itself (Google+ excluded here). The reason is simple. There is a negative history with Facebook and Google and Google and Twitter. Neither company is willing to give Google consistent access to their fire hose, so Google simply can’t factor them into the algorithm. A while back when Google did factor Twitter into the algorithm and had access to the fire hose, you ranked well for Twitter, but that changed when Twitter pulled that access from Google. You can learn more about that here. OK, now we’ve debunked those common myths, what shouldn’t you ignore? Let’s look at some things that actually matter. 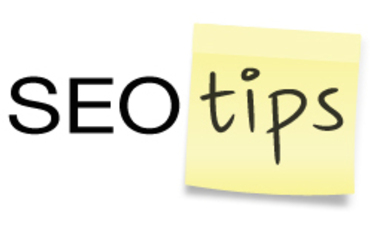 Here are 10 of the most common missed SEO opportunities. Often people write about the debate surrounding this tag – is it or is it not helping with rankings? What is often missed is the very basic concept that an image by your result in the search engine increases your click-through rates. Don’t add this tag everywhere. Make sure it is only on well written, good content, but add it. Give your site that extra lift. Make sure wherever you list the name of your business online (or where anyone else has listed it) that everything in each one is the same as the other. Meaning the name, phone number, contact, address, etc. between all listings is the same, not similar. Google likes specific content, so keep topics clear and on point. Also make sure on average your content is over 600 words per page or you risk it being penalized as thin. Make sure your site URLs are absolute and not relative in your code. They shouldn’t be too long and contain multiple query parameters. If they need to be rewritten, you have rewritten them. Use this tag properly, but use it. It belongs on every image on your site (sometimes it will be empty). In the case of linking an image, the alt attribute acts as though you added anchor text on a page. Don’t stuff this though; we have seen this as part of penalty actions when that has been done. Remember this is a tag for the blind. Treat it with respect. Check your site on the Google Page Speed tool. Speed matters especially in mobile. Get your site score above an 85-90. Your robots.txt doesn’t block your web page from being indexed, only crawled. If you want to block a page from being indexed, leave it off the robots.txt and add a noindex tag. If you try to recover your site and you fail the first time, get an expert to help you. Google penalties are tricky subjects. You may not know enough about penalty recovery to get your site out of penalty status. The longer your site stays penalized, the harder it will be to recover your site. A site auditor will know what to look for and how to communicate with Google in order to get the best outcome. There is only one way to really make sure Google won’t find your new site: lock it down with a login. Robots.txt don’t prevent site indexing and Google doesn’t need a link to find you. If you don’t lock it down, don’t be surprised when your new site is indexed before you wanted. There are so many new aspects of SEO in the past two years that it can be very difficult for the average business owner to keep up. Add to these changes the number of simple penalties a site can receive and you can be quickly over your head. A yearly site audit will help you avoid issues, avoid penalties, and make sure you your site is running smoothly. An SEO professional can also help you build out strategies and assess missing income opportunities. A good auditor is worth their weight in traffic, conversions, and missed penalties. Just make sure you aren’t getting simple tools output and someone with real knowledge and expertise. Remember a few years back when SEO was considered “voodoo” or “black magic” by anyone who didn’t understand it? Really, SEO is based on the rules of a mathematical algorithm. This means the site meets or doesn’t, certain points on a mathematical scorecard and your site is then adjusted accordingly. Though we haven’t been given these rules by the search engines, we can test against the algorithm and do things we know work because a + b = c. Math is predictable, testable, and somewhat verifiable. So yes, even though Google does still suggest that SEO is… well, um, “bovine feces” – it really isn’t. As long as you’re doing it right.